Precast beams and columns are ideal for a variety of structures, from multi-level apartment buildings to commercial structures and everything in between. They can also be used below-grade for parking, ideal for tight building sites. Beams and columns are available in various shapes and sizes for virtually any structural or architectural requirement, as well as design flexibility. Beams and columns have the strength necessary for heavy loads and allow for fast installation, vibration resistant stability and moisture resistance. Speed of construction. Pieces are cast off-site and delivered to you when you need them. Versatility. Available in various shapes and sizes for any structural or architectural requirements. Clear spans. Reduced column counts provide for larger open spaces. Strength for heavy loads. Beams and columns are ideal for setting hollowcore, for a total precast structure. Also provide vibration resistant stability. Fire resistance. Beams and columns require no additional fireproofing and provide intrinsic fire resistance. Durability. 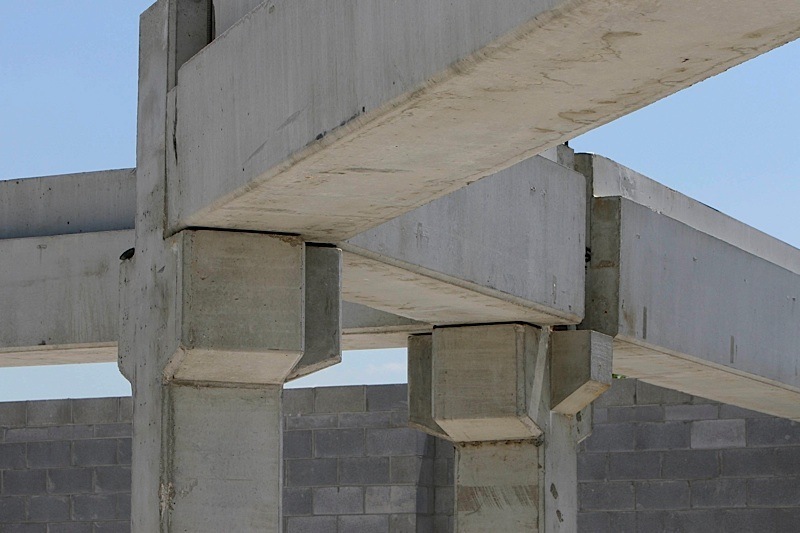 Precast beams and columns are resistant to nature, from termites or hurricanes to high winds and seismic events. Also provide moisture resistance. Efficiency. Savings in cost and time will keep your project on time and on budget. Also contributes to lower heating and cooling costs over the life of a structure.